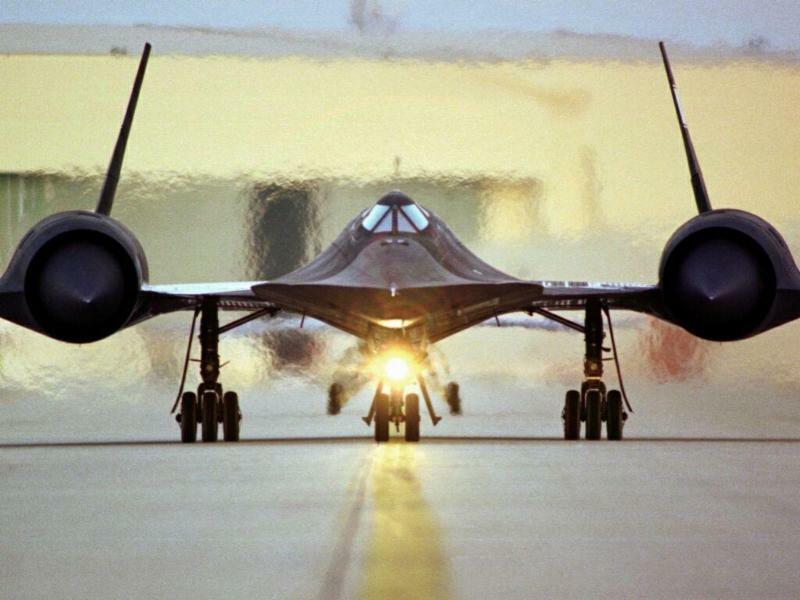 Edward T. Schneider was a research test pilot at NASA’s Dryden (now Armstrong) Flight Research Center, Edwards, CA, from 1983 to 2000. During his 18-year career at Dryden, Schneider was best known for his work as project pilot for the F-18 High Alpha Research Vehicle (HARV) over a nine-year span, becoming the first pilot in history to conduct multi-axis thrust vectored flight. Schneider also served as project pilot for the F-18 Systems Research Aircraft, the F-8 Digital Fly-By-Wire research program, the Boeing 720 Controlled Impact Demonstration, the F-14 Automatic Rudder Interconnect and Laminar Flow research programs, the F-104 Aeronautical Research and Microgravity programs, the F-15 ACTIVE, the SR-71 High Speed research project, the NASA B-52B launch aircraft, and the F-15B aeronautical testbed aircraft. Schneider took on additional management functions during the latter part of his tenure at Dryden. From July 1998 through March 2000, Schneider served as the acting chief of the Flight Crew Branch in the Flight Operations Directorate, heading a team of 13 research pilots. He then served as deputy director of Flight Operations at NASA Dryden from March through September 2000. In this position, Schneider helped to manage the Avionics, Operations Engineering, Flight Crew, Quality Inspection, Aircraft Maintenance and Modification, and the Shuttle and Flight Operations Support branches. Schneider transferred from Dryden to NASA’s Johnson Space Center, Houston, in September 2000 where he was a staff pilot and T-38 instructor pilot. When he left Dryden, he had accumulated more than 6,700 flight hours in 84 different models of aircraft and had flown “first flights” on five unique aircraft configurations. Schneider retired from NASA in 2004. Prior to joining NASA, Schneider served on active duty with the U.S. Navy from 1968 to 1983. Following squadron service, he graduated from the U.S. Naval Test Pilot School, Patuxent River, MD, in 1973, as the youngest graduate in the school’s history. He then served as an engineering test pilot and test pilot school instructor at the Naval Air Test Center. He also served as the F-4 program manager, and senior test pilot at the Naval Aviation Depot, North Island, CA. Schneider received his bachelor’s degree from Thomas More College, Crestview Hills, KY. He is a distinguished graduate of the U.S. Naval War College Command and Staff course and earned a master’s degree from the U.S. Naval Postgraduate School, Monterey, CA, in 1978. An active member of the Society of Experimental Test Pilots since 1974, Schneider became Fellow of the Society in 1993 and served as its president in 1993-94. He also served as a director of the Warbirds of America. In 1996 he received the NASA Exceptional Service Medal and the American Institute of Aeronautics and Astronautics Chanute Flight Award for the conduct of hazardous F-18 high-angle-of-attack flight testing. In 1998 he was inducted into the James B. Taylor Jr. Memorial Room and Carrier Aviation Test Pilot Hall of Honor on board the USS Yorktown (CV-10). Schneider was honored with the NASA Distinguished Service Medal in 2004, and was inducted into the Aerospace Walk of Honor in Lancaster, CA, in September 2005. Early crowds were abundant for the first few hours of this year’s annual Downtown Ashland Historic Walking Tour. Sudden storms damaged roughly half of the otherwise weatherproof enlargements of vintage photos taken during the 1940s. ASHLAND Until the moment the winds and rain hit downtown Ashland Saturday, it looked as if the second annual Downtown Ashland Historic Walking Tour would break every first-year record. At the end of the day, however, organizers were left with unclaimed tickets, a big batch of ruined photo enlargements and plenty to consider for next year’s event. Eastern Kentucky Military Historical Society President Matt Potter said there is a silver lining to Saturday’s storm story, although he still shakes his head when he talks about the way the big photos, printed on an extra-tough form of plastic, peeled away in sections after enduring the morning’s hot sun followed by the wind and rain. “It pulled down half the signs, actually ruined half of them, and it ruined ticket sales,” Potter said, noting one of the main goals of this year’s walking tour was “Get the pictures right,” and properly mounted for participant viewing. “The first three hours were sold out,” Potter said, adding several afternoon tours after the storm were also at or near capacity. The day’s total was likely near 225, he said, which is significantly less than organizers expected if the weather had remained nice. Last year’s tour was geared for about 100 participants, and organizers scrambled to accommodate more than four times that amount. “There were a couple of positive aspects to it. We had record crowds that morning and an influx of high-quality guides including keynote local historians,” he said, explaining several faculty members from ACTC were involved. During the morning briefing, Potter said he surveyed the room and was slightly stunned to realize “there was probably a century’s worth of experience dealing with local history and just a tremendous amount of local knowledge” in the room. Improvements to this year’s tour, based almost entirely upon suggestions and comments from people who participated in last year’s tour, included a phone-app guide, better transportation for people who might have trouble walking, and portable P.A. speakers for the tour guides. Among the unexpected aspects of the day, Potter said people seemed to genuinely appreciate the T-shirts worn by the guides bearing a “vectored image” of the old Ventura Hotel, which was once near the corner of Winchester Ave. and 13th Street, and a surprising number of those people decided to buy their own copy of the shirt. Churches along the way were an especially appreciated part of the program, Potter said. “That was very well received – taking time to go into the churches and hearing the history of the churches,” he said, explaining the official tour included stops at a historic Episcopal, as well as a Methodist, church. Some of the people who took the tour had never been inside a church other than their own, he said, and were fascinated by the historic touches, such as a hand-carved altar brought over from Germany more than a century ago, or the story of a Chinese family whose son became the first Chinese-American to die during World War II. “They were amazed. They were astonished,” he said of their reactions, adding the stories told “just prove the rich cultural diversity of our area” and often disprove accepted stereotypes about local people and history. 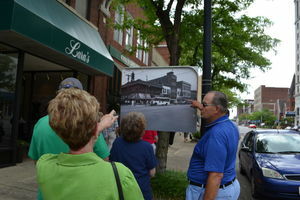 “There is no doubt this tour is filling a void in our community,” he said, noting tour participants often included multi-generational families, including one group with five generations walking together along Winchester Avenue, allowing important aspects of the city’s past to be passed along to another generation. TIM PRESTON can be reached at tpreston@dailyindependent.com or (606) 326-2651. 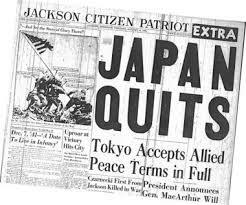 Drawing off of his knowledge coupled with his recent trip retracing his father’s footsteps during World War II, Mr. Bailey will give a presentation reflecting upon the decisive battles and events that led to the end of WWII in both the European Theater as well as the Pacific Theater. For more Information Call Matt Potter at (606) 547-2607. 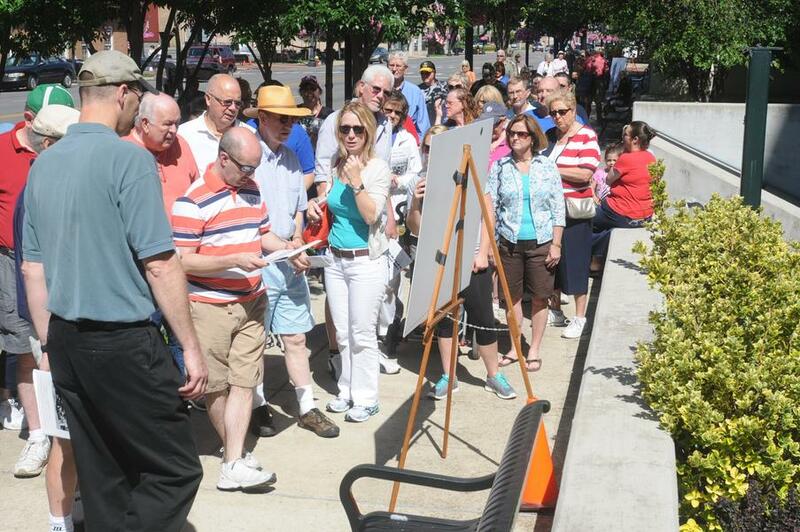 Nearly 400 attended the 2014 Downtown Walking Tour and learned about the history of Ashland. ASHLAND, Ky. — Members of the Eastern Kentucky Military Historic Society met Monday to prepare downtown Ashland to go back in time. The organization along with churches and business plotted out the routes and took a mini tour of what will be expected in the Highlands Museum & Discovery Center’s second World War II walking tour. The tour is June 13 and tickets are on sale now. “We have already exceeded the amount of tickets we sold this time last year,” said society president Matt Potter. This year’s tour promises to be bigger and better with more businesses and churches involved, Potter said. Participants will be able to tour many churches along the route and get to see what they looked like during the WWII era. “The churches will have photographs set up inside and some even having veterans to answer questions,” said Potter. Businesses will also be participating in the tour with literature and information about their buildings. The Highlands museum will be open as will Steen’s Military Museum in the former post office building, giving participants a closer look at machinery and weapons used in the war. “There will also be more than 30 pictures hung up along Winchester of the area during the WWII era,” he said. Tours will start at the Highlands Museum at 10 a.m. on the tour date and the last group will leave the museum at 3:30 p.m. The route spans most of the length of downtown Winchester Ave and will include buildings with restrooms and drinking water. Plans are still in the works to get golf carts or wheelchairs for those who can not walk the route. “ A lot of people really enjoyed it last year,” said Potter. Tickets are on sale and may be purchased up to the day of the tour for $10. Children under 12 are free. Tours will be divided into 12 groups with 25 people in each. Following the tours, participants will get the chance to be serenated by the CK Alumni Band. The 50-piece band will perform on Winchester Avenue between 16th and 17th streets. 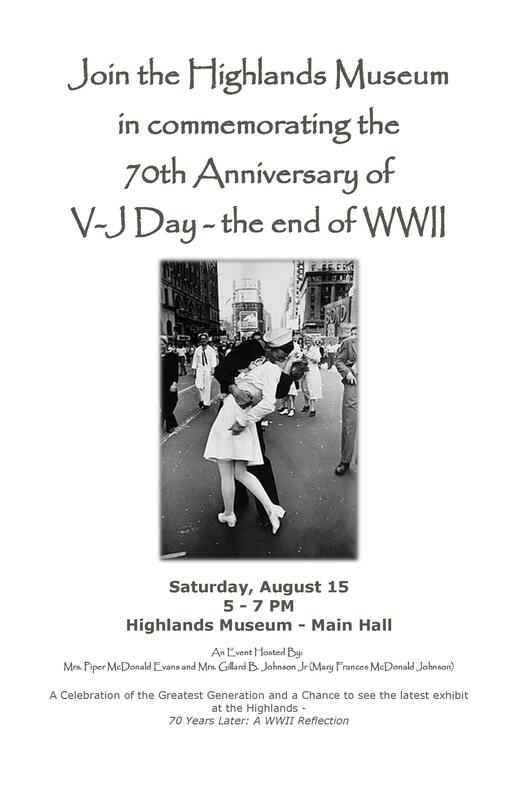 Contact the Highlands Museum, 329-8888, for information and tickets. Join Us at the Military History Roundtable Meeting TONIGHT! JOIN US TONIGHT! 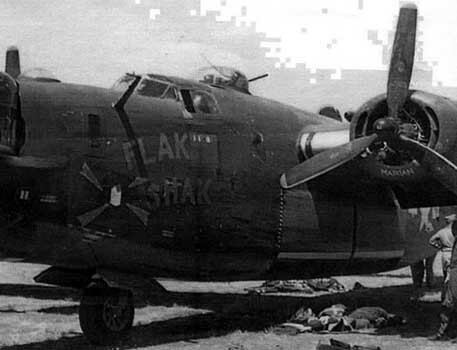 All are welcome to attend the military History Roundtable Meeting tonight as WWII Waist-gunner Wilson Shimer shares his story from his time in B-24s. The meeting will be at 6 PM at the Highlands Museum. Free and Open to the Public! CHANGE EFFECTIVE AS OF THE MAY MILITARY HISTORY ROUNDTABLE MEETING. ALL FUTURE MEETINGS WILL TAKE PLACE ON THE 3RD TUESDAY OF EACH MONTH. THIS IS TO BETTER FACILITATE USE OF THE MUSEUM. As part of our continued effort to commemorate the 70th anniversary of WWII and celebrate the men and women that helped us win that war, WWII Veteran Wilson Shimer will join us as he shares his story of service over Europe as a Waist-Gunner in Allied bombers. Join us for this full-day getaway aboard a luxury motor coach as we venture into the heart of the Commonwealth of Kentucky for a look at our Civil War History and Heritage. The group will meet in Ashland, where we will board buses after complimentary coffee and doughnuts. 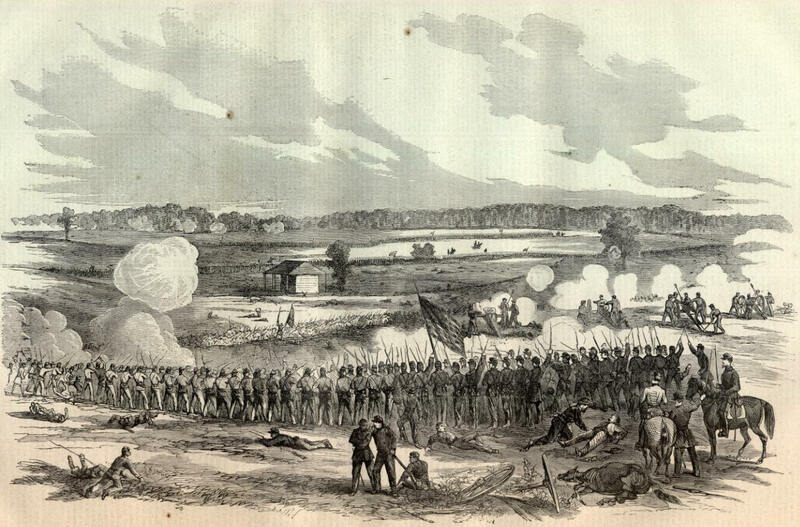 We will then make our way to Perryville, KY – the site of Kentucky’s most famous Civil War battle. After taking a walking tour of the 600 acre battlefield we will head to Camp Nelson National Cemetery, where many of the Civil War dead were buried following the battle. We will finish our day with dinner at the Fayette Mall in Lexington before returning to Ashland at approximately 9 PM. Cost – $50 Per Person. A deposit of $25 holds your seat with the remainder of payment due by April 10th. Sack lunch is included. FOR MORE INFORMATION, OR TO RESERVE YOUR SEAT TODAY, PLEASE CONTACT MATT POTTER AT (606) 547-2607 OR SHANE FIELDS AT (606) 694-4100.